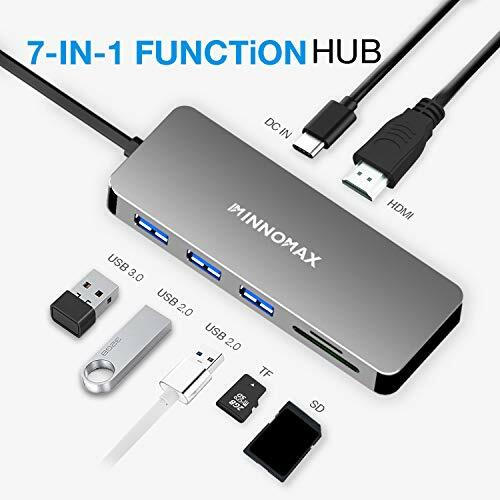 Instant Expansion with 7 N 1 Function: INNNOMAX HDMI USB C HUB for 2016/2017 New MacBook Pro will Expand the type C port on MacBook or Computer to be one 4 K HDMI port, Three USB ports, One SD( Support SD/ SDHC/ SDXC) and One Micro SD( Micro SD/ T- FLASH)card slot. 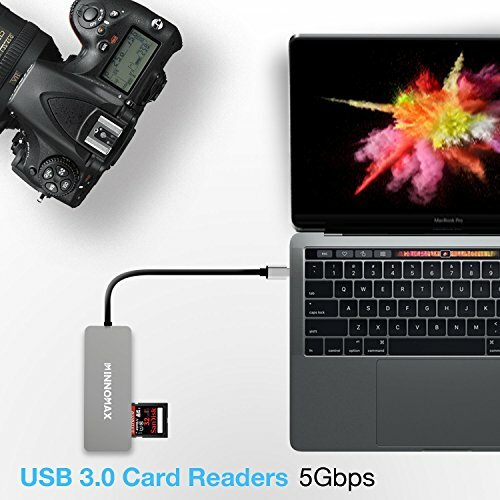 INNOMAX MacBook HDMI USB C HUB enable your MacBook to connect with External Monitor, USB mouse, USB wireless mouse Adapter, External DVD Drive, Hard Drives, and to read Camera SD card/ Cellphone Mini SD Memory card in one time. 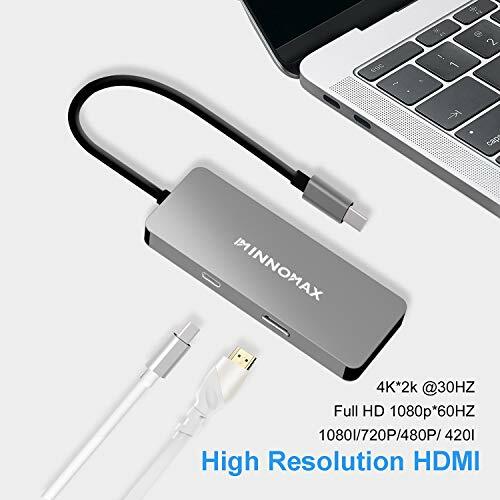 High Resolution HDMI Adapter: INNOMAX 7 N 1 HDMI USB C Hub provide you 4K*2K @ 30Hz or Full HD 1080P * 60Hz video solution. 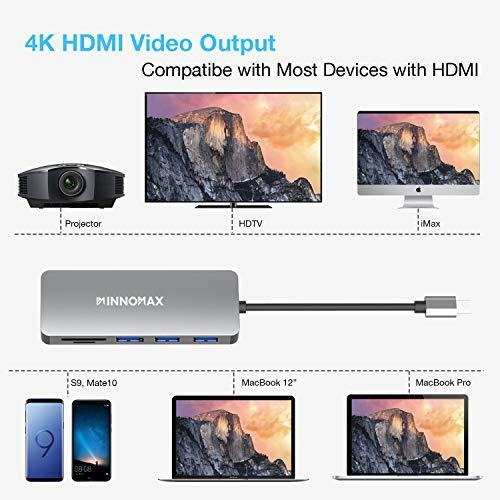 INNOMAX USB HDMI Adapter allow you to connect or mirror your MacBook screen with external monitor or projector. HDMI Adapter Solution is compatible with New MacBook Pro, windows powered Computer with USB C port, as well as cell phone as: Samsung S8, HUAWEI Mate 10 Pro, Microsoft 950 XL etc. 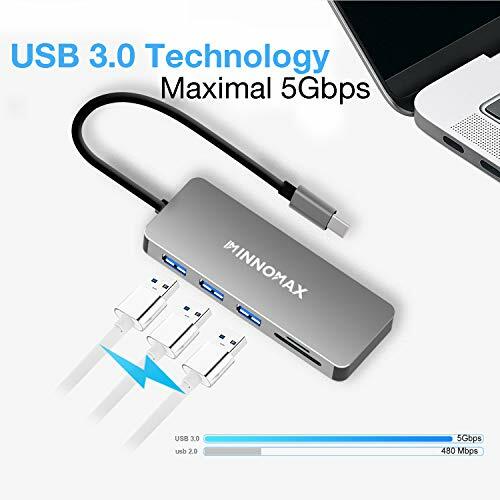 3 USB ports with Supper Speed: INNOMAX 7 N 1 MacBook Pro USB C hub provide one fully USB 3.0 port (Maximum 5Gbps for data transmission, Max output power is 900mA, Compatible with USB 3.0, 2.0, 1.0 ), 2 USB 2.0 Ports( @ 480 Mbps for data transmission Compatible with USB 3.0, 2.0, 1.0). 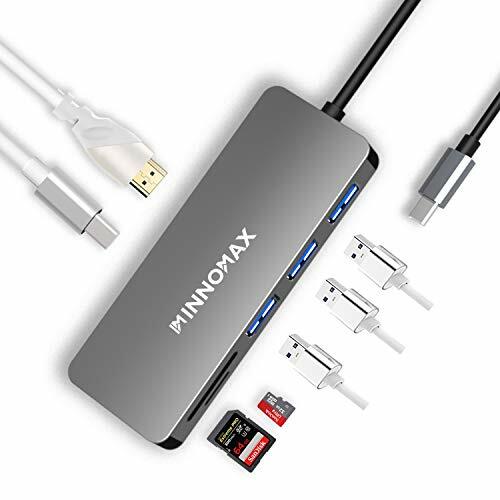 INNOMAX MacBook Pro Adapter is compatible with Mac OS, Windows 10, Windows 8/ 7/2000/ xp/ Me/ & Linux. 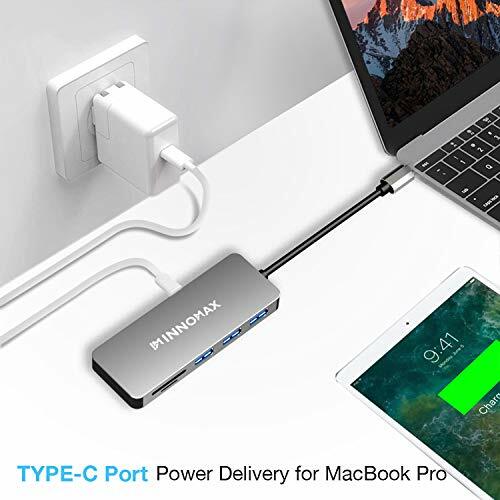 Comprehensive Computer Add-On: The 7-in-1 USB C Hub/Adapter features 4K HDMI output, USB type c PD (Power Delivery) charging port,3 USB ports, SD card reader, micro SD/TF card reader.